Chilli is a big hit in our household as both myself and Mr Spoors adore anything with a hot kick from spicy chicken wings, boiling curry to a simple hot tortilla chip dip. I love anything that leaves a hot trail of destruction, watering eyes and a runny nose. Hotter the better. 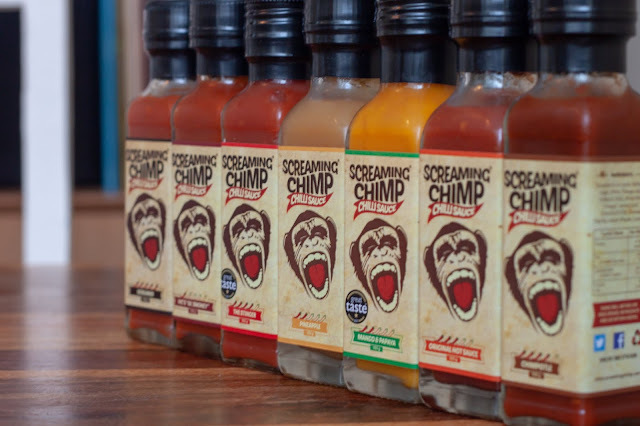 I am such a big fan of a hot chilli sauce as there is so much variation on the market today and the beauty of a chilli sauce is you can add as much or as little as possible to your dish and you have a creation as spicy or as little spiced as you desire. I often make dishes for myself and Rob and he often adds additional spice to his own, so using chilli sauces can create a dish perfect for the pair of us. Cake is something I just adore making when I have a day off work or blogging. There are so many ways you can enhance flavours, decorate and you can guarantee everyone will want a bit. For my other half's brother's girlfriend's birthday (gosh that was a mouthful!) 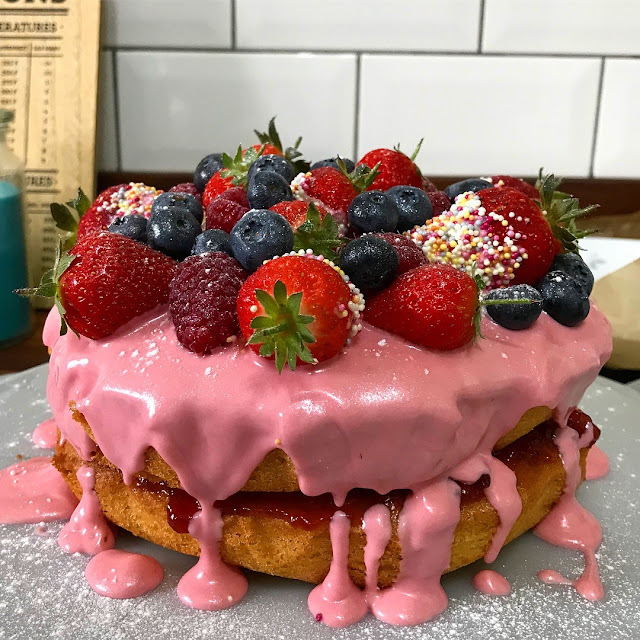 I ventured out of my comfort zone of butter icing and used chocolate and fruit for a little twist on a traditional Victoria sponge cake.